The CT River Area Health District (CRAHD) received funding from the Connecticut Department of Public Health (DPH) and has partnered with Middlesex Hospital to coordinate a regional asthma home assessment program, Putting on AIRS, in DPH Asthma Region 5. Putting on AIRS is a program designed to target the reduction of environmental asthma triggers in your home. This program is available to residents of the CRAHD District which include: Old Saybrook, Clinton, Deep River, Haddam and Chester who suffer from asthma and/or have a child who suffers from asthma. Click for Program Brochure (English/Spanish). In addition, the following Towns may also participate in the program: Essex, Westbrook, Killingworth, East Haddam, Durham, Middlefield, Middletown, Cromwell, Portland, East Hampton, Marlborough, Hebron and Colchester. This program is provided at no cost to you and has been funded by the CT Department of Public Health. For Physicians: If you would like to make a patient referral, click here to access the referral form. 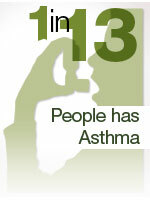 For more information regarding Asthma, please visit the following websites and/or contact the CRAHD at (860) 661-3300.